What, ho? We were intrigued. Though lo-fi, Paris-Jourdan’s site contains a wealth of information. The y-axis of the graphs represents our letter-grade system, and the x-axis represents each episode over time—the farther to the right, the later in the show’s run. Red dots are user reviews, and blue ones are critics’. More than the vanity of seeing our aggregate reviews summarized so cleanly—well, in addition to the vanity of that—this represents a handy summary of critical thought on TV over the years, spanning 680 shows and the opinions of a voluminous base of users. 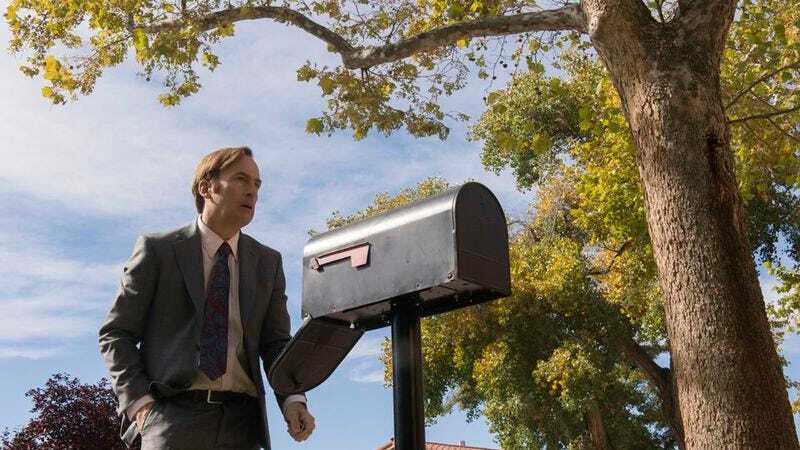 Thus verifying with finality that Better Call Saul is the greatest program in the history of television. There are a lot of fun conclusions to be drawn from a trip through the site, like what the worst episode of The Sopranos was, or which cast member this strange constellation of data about Saturday Night Live looks most like, or when the exact moment was that Community stopped firing on all cylinders. To answer this, I took the line of best fit for each show (weighting equally the one critic rating and all community ratings), then ranked these lines by steepness—the idea being that the lines with the largest positive coefficient would represent the shows with the most improvement over time. We can rest easy knowing that Sharknado fell further than any other program in TV.